Exonerations are at an all time high as more wrongful conviction cases continue to surface. While some are due to mistakes, an overwhelming number of them involve abuses of power — fraud and corruption — coerced witnesses, jailhouse snitches, junk science, fabricated evidence, perjury, prosecutorial misconduct and unfair judges. In two Wake County, North Carolina murder cases — Michelle Young and Nancy Cooper — civil lawsuits were used to influence the outcome of the criminal cases. Brad Cooper and Jason Young were convicted for the murders with no real evidence of guilt. In both cases, civil lawsuits set things in motion that ultimately contributed to their (wrongful) convictions. It is perfectly legal for a party to file a civil suit against a person during a criminal investigation — for custody or wrongful death or whatever. However, these cases are unique because police and the district attorney’s office assisted the plaintiffs by sharing the case files and filing affidavits in support of their claims. The district attorney was Colin Willoughby who stepped down in 2014 to go into private practice. It’s common sense to avoid talking to police if you’re under investigation . . . police have been known to twist things. It’s advised to have an attorney present if you do wish to answer questions, but it’s also okay to completely refuse to speak to them. Well, when a civil suit is filed against a person, things become complicated because remaining silent is no longer an option, unless the suit is ignored. There are major consequences either way. First consider the Cooper case. Brad was under investigation for the murder of his wife, Nancy in 2008. You can read more about the case here. 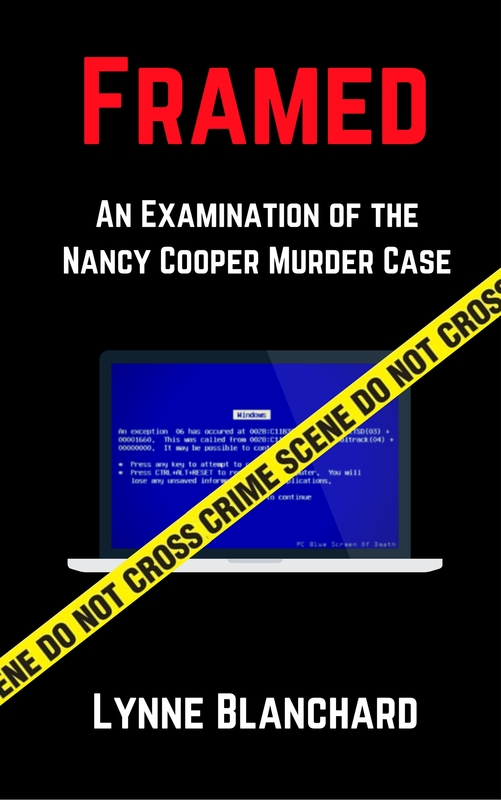 Nancy’s parents filed for custody of the Cooper children immediately after Nancy was found dead. Naturally the spouse is always investigated in a murder case, but the person is presumed innocent barring proof of their involvement. Two days after Nancy was found dead, Judge Sasser granted emergency temporary custody of Brad’s daughters (via an ex-parte meeting with Nancy’s family, their attorney, and the police) to Nancy’s parents, Gary and Donna Rentz. Police took the girls (ages 2 and 4) from Brad in a traumatic scene as the children were crying. In order to regain custody, Brad would have to submit to a deposition (and later go to court to fight to maintain custody of his own children). A deposition is a very detailed interview. The person is under oath and must answer all questions. During the Cooper investigation, the law firm representing the Rentzes (Tharrington-Smith) was working directly with the Cary police department who were investigating the murder. Many witnesses wrote affidavits in support of the Rentz family winning custody. Police told the witnesses that they could assist the investigation by speaking with the Rentzes’ attorney. Brad agreed to the terms set by the Rentzes’ attorney and submitted to both a psychological examination and deposition as he desperately fought to keep his children. The deposition was essentially a seven hour interrogation. Police supplied the firm with questions to ask Brad Cooper, so the attorney (Alice Stubbs) essentially became an arm of law enforcement. The deposition was then aired by a local news station and of course police scrutinized it, trying to find anything they could use against Brad Cooper. They really didn’t come up with anything (but they altered their notes to make it appear that they had). I won’t get into the details about that here. The main focus of this article is the unethical active participation of public officials in this process. Lead detective George Daniels filed an affidavit in support of the plaintiffs stating that he believed Brad killed Nancy, though he didn’t specify a single piece of evidence to support his belief. In doing so, it made it extremely unlikely for any court to rule in Brad’s favor. Losing the custody case would bolster the state’s case against Cooper. Motions were filed by Cooper’s attorneys to have the affidavit thrown out, but the judge denied them. This alliance between the civil attorneys and those conducting the criminal investigation seems highly unethical and should not be permitted. In my opinion, the detective overstepped his bounds by involving himself in the civil matter. Police even supplied the plaintiff with the official 911 recording, while the defense only had the version shared with the media. The detective also gave a witness a copy of her cell phone records so she could prepare for her deposition with Brad’s custody attorney. This was unethical and an interference. The incentive for police to become involved in the civil matter was obvious — They would force their suspect to talk and the public airing of the deposition — in which Cooper was forced to describe intimate details about sexual encounters was prejudicial enough to influence the case in their favor — trial by media. It didn’t stop there. Since police were involved in the matter, Brad’s attorneys should have been given access to discovery. The prosecution refused, citing that it was still an ongoing investigation. Brad’s attorneys filed motions for discovery, they were denied. Before moving on to the Young case, I want to point out that this isn’t about innocence versus guilt in the murders, it’s about officials removing ones constitutional rights to make their jobs easier. “Weak criminal case? We can always push a civil case through to clear a path.” This is wrong. Brad was indicted for murder on October 27, 2008 — approximately two weeks after the custody trial and before Judge Sasser had ruled on the case. Naturally he lost custody of his children as he was denied bail since he wasn’t a U.S. citizen. The criminal trial — which didn’t take place until the spring of 2011 would end up being a repeat of the custody trial, though none of the testimony revealed any indication that he had any involvement in the murder. It was all about character assassination. Brad was convicted but went on to win his appeal. The court of appeal found overwhelming evidence that the judge had abused his discretion. Brad later accepted a plea deal rather than face the same judge in a new trial. He will be released in 2020. Around the same time as Brad’s arrest, on October 29, 2008 a civil lawsuit was filed against Jason Young. Young was also under investigation for the murder of his wife, Michelle (also in Wake County). You can read more about the case here. This time the victim’s family filed a wrongful death suit against Young. It is very rare for a wrongful death suit to precede a criminal trial. Similarly, the police detective — Detective Richard Spivey of the Wake County Sheriff’s Office filed an affidavit citing his opinion that Young was responsible for his wife’s death. This case differs from the Cooper case in that Young did not respond to the civil action. He was advised by his attorney to maintain his silence since he was under investigation. And again, the affidavit did not specify any evidence of his involvement in the murder. It was simply the detective’s opinion. Police in both cases should have stayed out of it. The investigation was still underway. If they had enough evidence, they should have charged them, rather than waiting for the civil cases to play out. The case also differs from the Cooper case in a very interesting way. Remember that the prosecutor refused to share discovery with Brad’s attorneys since the investigation was ongoing. Well, the investigation into Michelle Young’s death was also ongoing; however the same prosecutor shared the discovery files with the plaintiff’s attorneys — further strengthening the civil case against Young — essentially making it unwinnable. When it suited them, they were more than happy to share the files. This is unacceptable and another reason why there needs to be a law forbidding the government from becoming involved in civil cases when there is an ongoing criminal investigation and they have much to gain from a civil judgement against their main suspect. Since Jason didn’t respond, the plaintiffs pushed for a default judgment. Judge Donald Stephens did in fact declare Jason Young the slayer as part of a Slayer Statute, even though he could have deferred judgment pending the outcome of the criminal case. Two weeks later Michelle’s family filed for custody of Young’s four year old daughter. Again, the police affidavit was part of the filing, as well as the discovery files from the prosecution. Young didn’t respond at the advice of his attorney. Again, he chose to maintain his silence. He did so with the understanding that once the investigation was over, custody could always be revisited. In March, 2009 Michelle Young’s mother, Linda Fisher was awarded $15.5 million in damages in the wrongful death suit. Jason Young would be responsible for this. The lawyers received a million dollars of the life insurance as their fee. Notice how costly Jason’s silence had become. Was it fair that he was put into that situation? “Talk or you will be declared a slayer . . . talk or you will lose your daughter.” Don’t talk and you will lose anyhow because the government has aligned with the plaintiff. The Young case gets much worse. Jason Young was charged with the murder in the winter of 2009. Consider how damaging the media attention over the civil suits must have been. He was tried in the spring of 2011, which resulted in a mistrial as the jury was deadlocked at 8-4 in favor of innocence. The state decided to try him again and this time they used his silence to win a conviction. The jury heard that the same judge presiding over the criminal trial declared him a slayer in the civil lawsuit. Prosecutors got away with it even though there is a long standing statute that forbids it. Jason’s attorneys didn’t properly object to the civil suit testimony. Jason was slammed repeatedly by prosecutors throughout the trial for not fighting for his daughter and for not responding to the wrongful death suit . . . even though they knew he would have had NO chance of winning because they themselves were participating in it. The case is still ongoing. The Court of Appeals ruled that the judge abused his discretion by allowing the testimony. They reversed the conviction, however, the NC Supreme Court reversed the CoA decision, removing Jason’s chance to have a fair trial. The Supreme Court ruled that the defense was at fault for not properly objecting to the admission of the civil suit testimony. There are other issues of the appeal still pending. Update: In June, 2017 there was a hearing to discuss Young’s ineffective assistance of counsel claim. At this time, we are awaiting Judge Ridgeway’s decision. He is deciding if Young deserves a new trial because his attorneys failed to properly object to the civil case testimony. Is it possible there was collusion between the district attorney’s office and the families and their attorneys who launched the civil lawsuits? (We would never know.) Is it not a coincidence that both occurred around the same time and in the same county? And in both cases police were willing to write affidavits. The same attorneys were involved as well. The firm that filed the suit against Brad Cooper represented Jason Young with his custody case. These cases reveal that both Young and Cooper were pushed into a corner — submit to an interrogation (deposition) or give up your children. With the government’s involvement, there was no way for either of them to survive. It was impossible to win and this was an abuse of power. Young and Cooper each took a different path and it didn’t work out for either of them. There wasn’t any evidence connecting either of them to the murders, so the civil suits helped the government gain a foothold. Public opinion is a powerful tool and these civil cases certainly influenced public opinion about both men who ultimately were convicted of the murders. The government should not be permitted to either align with civil attorneys or actively assist them in winning cases against those they are investigating for a crime. I am going to send this article to the NC General Assembly to request that they pass legislation prohibiting governmental involvement in civil matters when a criminal investigation is ongoing so that rights of the accused can be maintained. What if the government hadn’t been involved in the civil actions? No court would have ruled for the removal of the children from their fathers. There simply wasn’t cause. Both were good fathers. There was no testimony in either case that disputed that. I published books about each case and go into much more detail about exactly what occurred with the civil actions and how unfair it was. It is unacceptable, and if nothing changes the government will repeat this same maneuver over and over. Can the government withhold evidence that could prove your innocence? In this shocking case, the state of North Carolina cited national security reasons for doing just that. It crippled any possible defense case for Brad Cooper who was charged with the murder of his wife, Nancy in 2008. Nancy left home to go jogging and never returned. She was later found murdered. A shoddy and corrupt investigation followed, as evidence was destroyed and mishandled; witnesses were coached and evidence of innocence was ignored. Learn the facts about this tragic case that will leave you appalled at the state of our justice system. Michelle Young was living the American dream. The former NC State cheerleader was married to Jason. They had a beautiful two year old daughter and a son on the way. The couple enjoyed a comfortable life in the quiet Enchanted Oaks community of Raleigh, North Carolina. It was autumn—a time for football games and holiday plans, but on November 3, 2006 Michelle was found beaten to death in her home. It shook the community and quickly attracted national attention. Police immediately began investigating Jason . . . but he was out of town at the time of the murder. Would they discover enough evidence to solve the crime? Discover the facts about this fascinating and controversial case.